Plume Academy AGP managed in partnership with Maldon District Council. Mondays 8-9pm and Wednesdays 7-9pm, 40 min match windows with referees and equipment supplied. Free online registration. The Plume Academy Artificial Grass Pitch (AGP) has adjoining provision of onsite toilets, changing rooms and shower facilities. 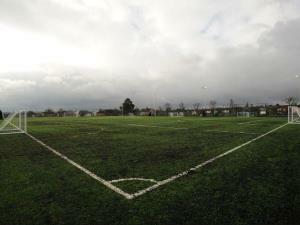 The AGP also benefits from having floodlights that are available for after dark pitch usage.